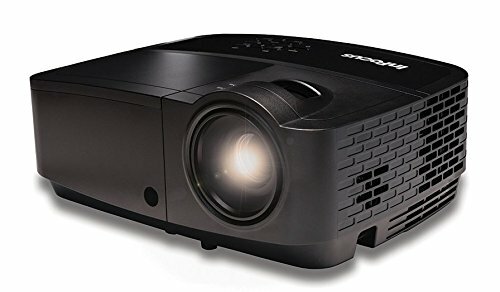 Leverage the high brightness, built-in memory and networking of the high-definition InFocus IN2128HDx projector to increase the effectiveness, visibility, sharpness and timeliness of your presentations and lessons. Quality images and true-to-life colors with DLP¨ technology with InFocus BrilliantColorª implementation. Compact size (5.1 lbs) makes it easy to move from room to room, but powerful enough to install. InFocus and the InFocus logo are registered trademarks of InFocus Corporation. If you have any questions about this product by InFocus Corporation, contact us by completing and submitting the form below. If you are looking for a specif part number, please include it with your message.